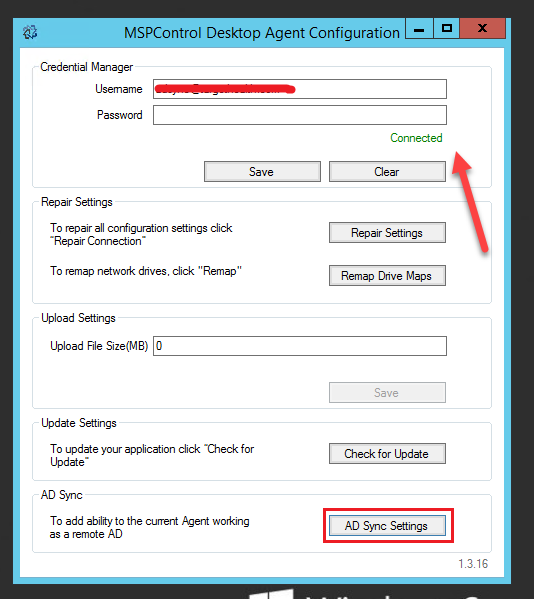 2) ADSync requires that the client has quotas added to the Hosted Organizations service: "Devices per Organization" (1 device for ADSync) and "AD Sync Users"
5) After the installation in the tray, the MSPControl Desktop Agent icon should appear, and the MSPcontrol Desktop Agent service should appear in the services. 8) After that, the ADSync button appears in the panel on the customer organization page. 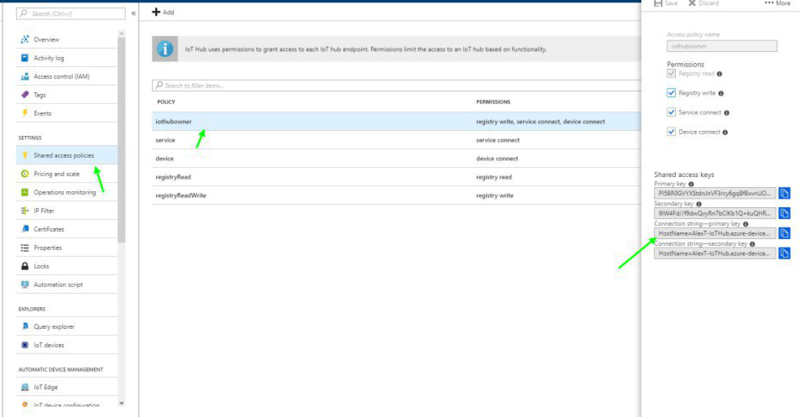 You need to insert your Primary key for Azure IoT Hub, you can find\generate you primary key on Azure portal. 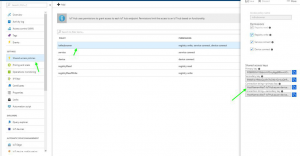 After that all communication for ADsync would use Azure IoT Hub.